Happy Saturday everyone! Today I have a card to share that I created for Clique Kits with the January Tailor Made kit. I don't make cards very often, but every now and then I get triggered by a piece of paper or an embellishment that is perfect for a card. 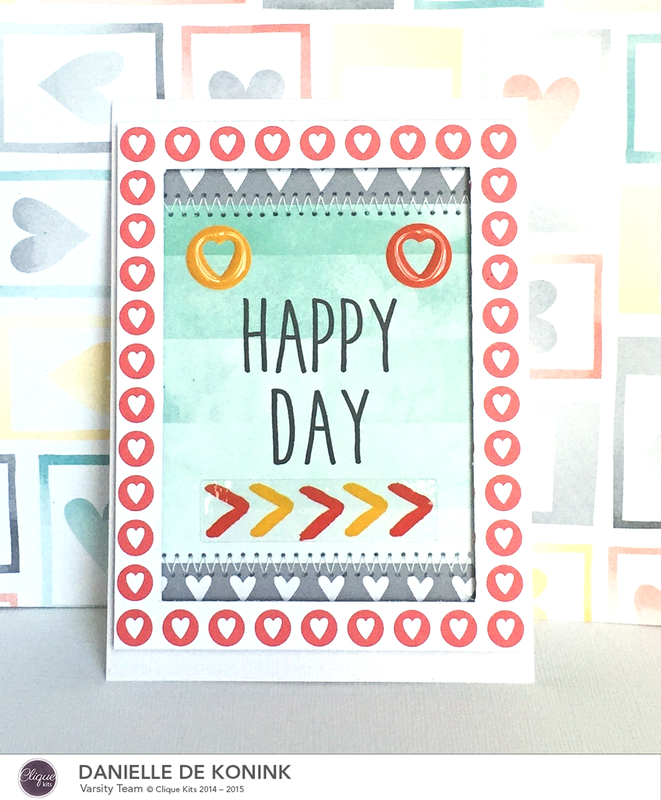 This happened with the Happy Day part on one of the Amy Tangerine Stitched papers in the kit and I created my card around this piece of paper. 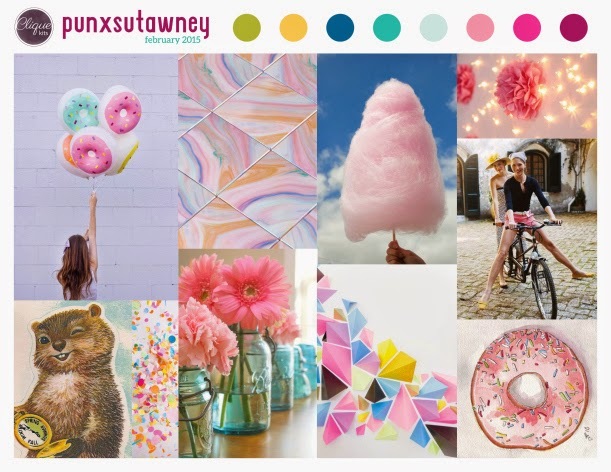 Besides this card, I also want to share our February moodboard with you, can you guess what collection will be featured in our February Punxsutawney kit? If you're not a subscriber yet, you can sign up here to never miss out on our kits! Such a cute card, Danielle!! Love the zig zag stitching! Love your awesome card. I can't wait to see the reveal of the February Clique kit! !